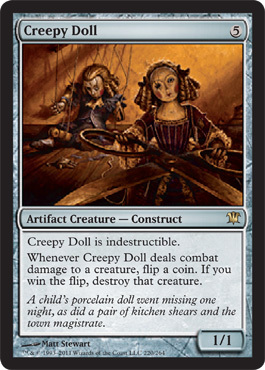 card text: Creepy Doll is indestructible. Whenever Creepy Doll deals combat damage to a creature, flip a coin. If you win the flip, destroy that creature.